Last year was Fuel’s 25th anniversary. 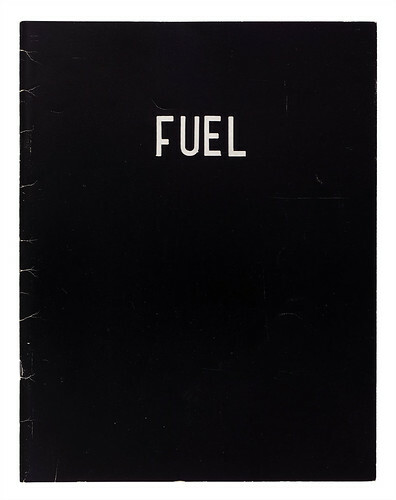 I met them when they were students at the Royal College of Art, already attracting attention for their self-published magazine, also named Fuel – an early short profile appears in Eye no. 11 vol. 3. 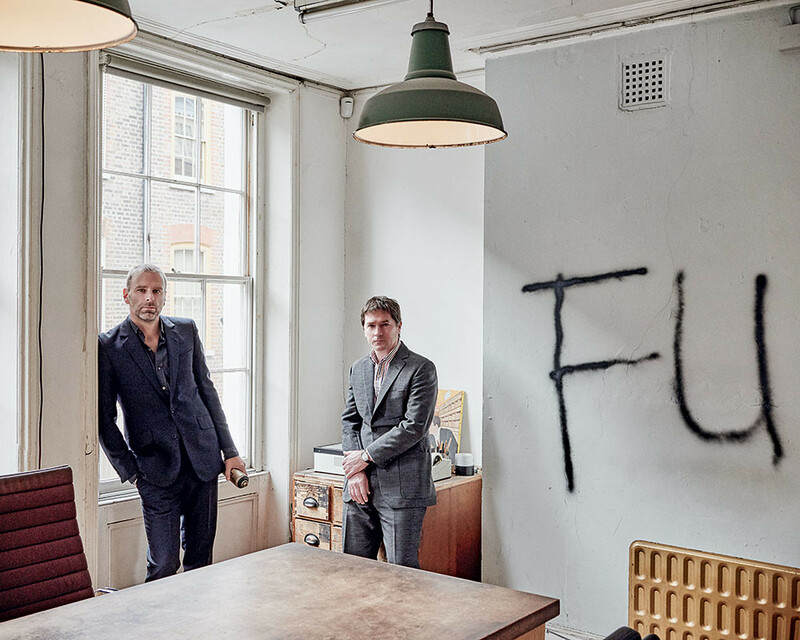 After graduating, they found a floor in Fournier Street, where the City of London meets the East End, opposite the house of Gilbert & George, and they have worked in Spitalfields ever since in a bare, atelier-like space. Their book Fuel Three Thousand, published in 2000, shows two photos of the studio’s entire contents piled high on a table and it gives a lasting impression of their un-designery attitude and set-up. Fuel no. 1, ‘Girl’, spring 1991. 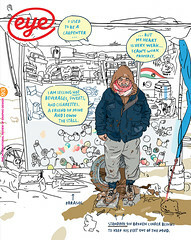 Cover and spread from the self-initiated, large-format magazine published at the Royal College of Art by Damon Murray, Stephen Sorrell, Peter Miles and Nick Oates. From the outset, each issue had a provocative four-letter rubric. part of that and you always seemed like a very uncompromising trio. How were you positioning yourselves in relation to the design scene? Stephen Sorrell: That is how we saw ourselves. Everybody was in the West End and we liked the fact we were out here on the edge of the City’s financial district in a Georgian house, next to Brick Lane and the Bangladeshi community. To us this mix was a more interesting environment. Damon Murray: I remember going to a meeting at a big advertising agency and they asked us, ‘Where’s your studio?’ We said, ‘Spitalfields’, and they’d never heard of it. This place was tumbleweed. Being in this studio, one Mac, a couple of radiators and a cold tap, it was our fortress. We had always been on the outside when we were at the Royal College because we had gelled so quickly and started to work together almost immediately. It comes down to attitude. You need attitude to give you impetus to survive. We were never going to be employed by a traditional graphic design company and we didn’t want to be. There was nothing there for us. In order to make that kind of leap you have to define yourself. SS: Our understanding of the power of an image – we shaved our heads and got pinstripe suits – made a strong statement as a group. I’m sure it put off more clients than it attracted, but it was quite good fun for us. thing, necessarily. It was pretty tongue-in-cheek and maybe a lot of people misread that. We wanted to have an image that somehow reflected our work and our attitude. Page from Drawings from the Gulag, Fuel Publishing, 2010. Designed by Fuel. 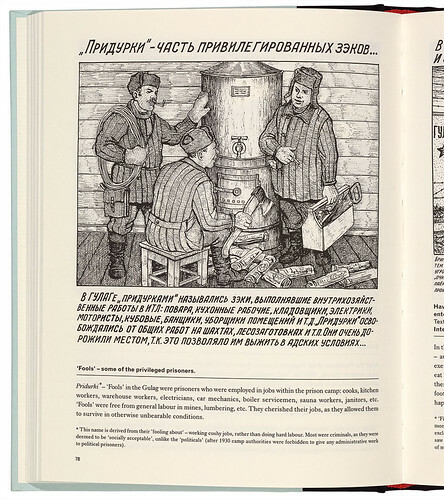 The drawing by Danzig Baldaev of ‘privileged prisoners’ with a cushy job (usually ordinary criminals) is one of the lighter images in a collection showing scenes of the intolerable cruelty meted out to political prisoners in the Soviet labour camps.